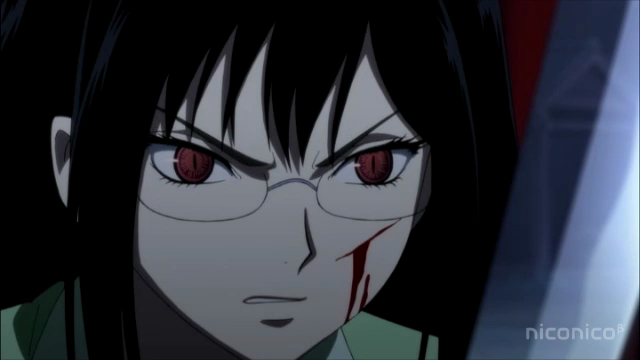 Saya doesn't get to finish her conversation with her father as yet another Elder Bairn attacks. Picking up where we were last week, Saya had just made some interesting realizations in her talk with Tokizane, when her father interrupted. Saya was pressing her father on why she doesn’t know her own mother, but an Elder Bairn attacks before she can get any answers. This disembodied head also has questions for Saya. This latest Elder Bairn calls Saya a “puppet of those who have broken the covenant”. Intriguingly it says that she “eats as well”, and “a far more forbidden fruit” at that. This seems to support suspicions that Fumito and Saya’s father, Tadayoshi, have been drugging Saya, or at leasing feeding her something “special”. Good-bye Tokizane. I guess you were normal after all. 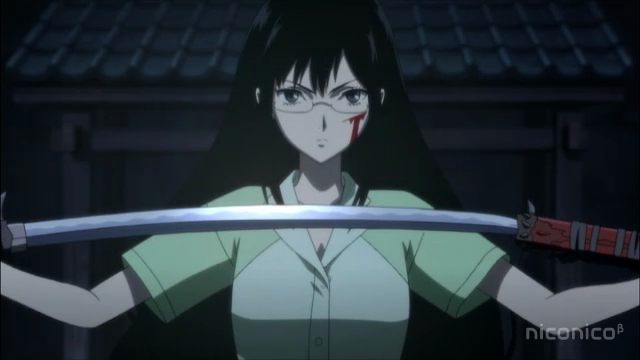 Saya’s classmate, Tokizane, returns to the temple after hearing the battle. Unfortunately for him, the Elder Bairn consumes him. At least I’m pretty sure he really died. The Elder Bairn mentions that he, like everything they eat these days, “tastes bad”. Is this a suggestion that the people of the village have somehow been substituted? Yeah, that sounds crazy. At any rate, seeing Tokizane eaten snaps Saya, and her eyes turn red, which is the precondition for killing these creatures. Red-eyed Saya dispatches the Elder Bairn with ease, but in so doing she gets blood all over her pajamas. 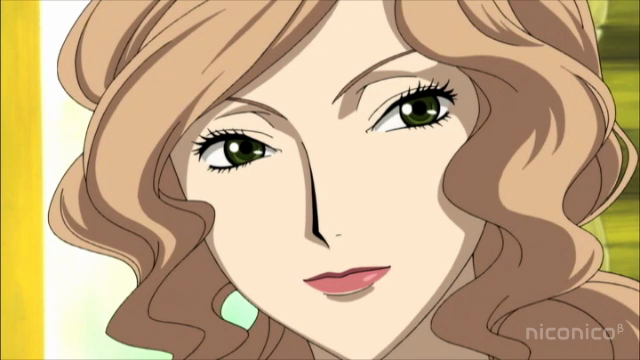 When Saya comes to the next morning, she finds Fumito in her room with coffee already prepared. 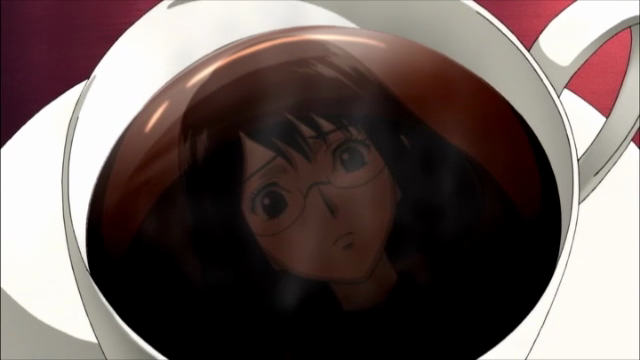 Before she has even had a chance to crawl out from beneath the covers, Saya is handed a cup of that special coffee. Fumito seems awfully insistent that she drink it. Is this coffee drugged? 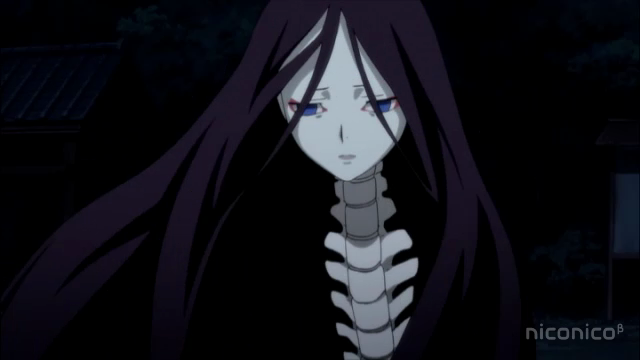 Saya has often mentioned that it "calms her down". Saya has a new set of bed clothes because the old ones were covered in blood. Saya drinks two cups of coffee, and eats some guimauve. In her memories this time the voice remarks that she is hungry while we see all of those ampules of blood. My suspicion is that Saya’s true identity requires her to feed on human blood, but Fumito and Tadeyoshi are keeping that a secret from her, by feeding her human blood disguised in the guimauve. I still think the coffee contains some kind of drug that is being used to keep her confused and docile. When we next see Saya, she is back to her earlier self: singing about what a beautiful day it is. After feeding Saya, Fumito reports to Tadayoshi. I don’t see why Fumito would feel the need to report that Saya drank coffee and ate guimauve if they weren’t concealing something in them. In the shot that follows the above screen grab, Tadeyoshi stares at the coffee thermos that is in Fumito’s hand. Fumito remarks to Tadayoshi that he had better have something to eat and “get ready”, and later Saya remarks that her father is missing. When we next see Fumito, his arm is bandaged. I’m really unsure what to make of this. One theory would be that Tadeyoshi is also a vampire of sorts, and that he fed on Fumito (via the arm). 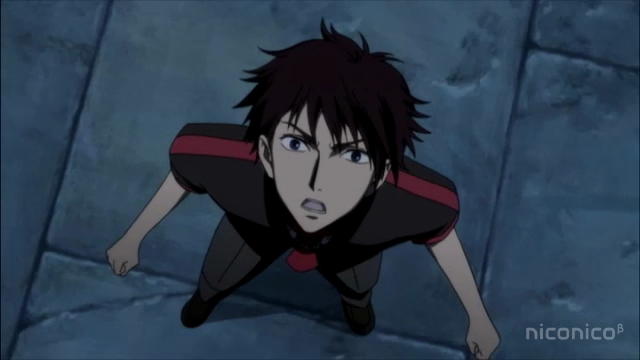 Another would be that Tadayoshi is having second thoughts about the way they are using Saya, and he and Fumito fought. 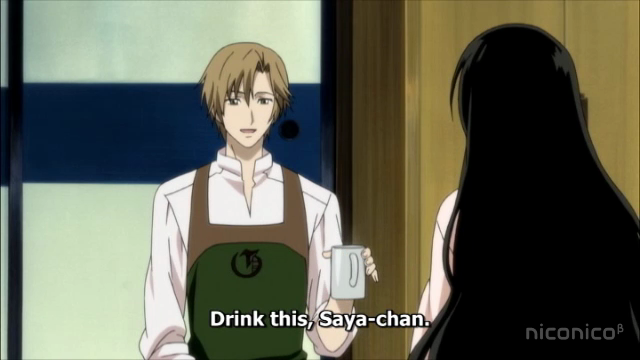 Saya’s teacher, Tsutsutori drops by the Guimauve café, where she meets Saya. She asks Saya to let her see the old books of legends that are stored at the temple. Saya discovers another disturbing bit of truth. While looking over the old books, Tstsutori pushes Saya into acknowledging something uncomfortable. The “old” books at the temple that supposedly contain the arcane lore her father draws on for knowledge about the Elder Bairns are actually new. In fact some of the “books” are really just bound sheets of blank paper. The library is a fake. Nene and Nono. The biggest bombshell yet. What the!?! Either the twins weren’t really killed, or these aren’t really the twins. 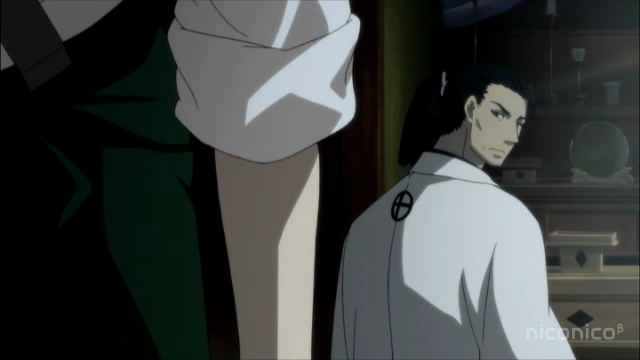 If the twins weren’t really killed, then maybe Tokizane wasn’t really killed? This is why I made that remark above. 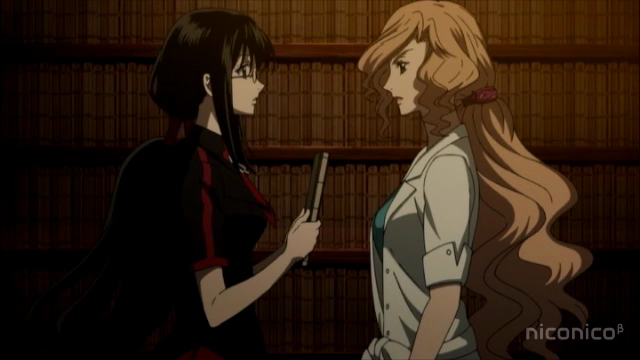 I’m open to the idea that Tsutsutori is “good”, and that she is revealing the truth to Saya. I guess that would mean she is being tricked into thinking her friends died so that she will get angry enough to kill the Elder Bairn. 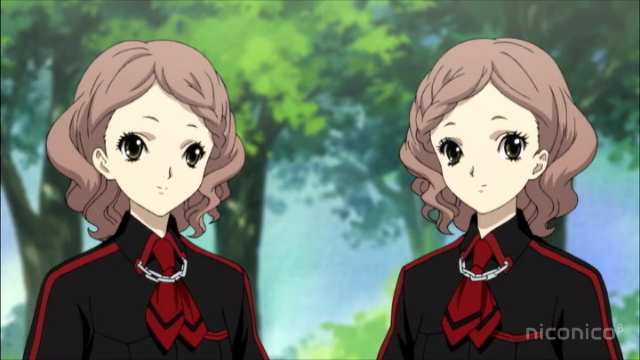 But if these twins aren’t the real twins, Tsutsutori-sensei must be trying to deceive her, yes? Maybe everybody is against her, and they just like messing with her head? This was definitely a one step forward, two steps back type of episode. Although I feel things were revealed, it still isn’t quite making sense. I certainly feel for Saya, as she has to make sense of all of this with the added influence of the drugs (still unproven, but less and less easy to deny). This is getting so crazy and yet so exciting!! I’m really interested in seeing how they pull this together. Seeing the twins really blew my mind. Haha, I enjoyed seeing Tokizane get eaten by the elder Bairn. My sister had shown the show to me and I’d been like “Lis, I don’t think he’s going to last long..” and she’s like “He’s like a main character of course he will!” This just shows who was right all along ;D! Congrats on calling it. 😉 I was surprised he died. Early on I even suspected he could change into that dog. This show really has an impressively high tolerance for killing characters off.